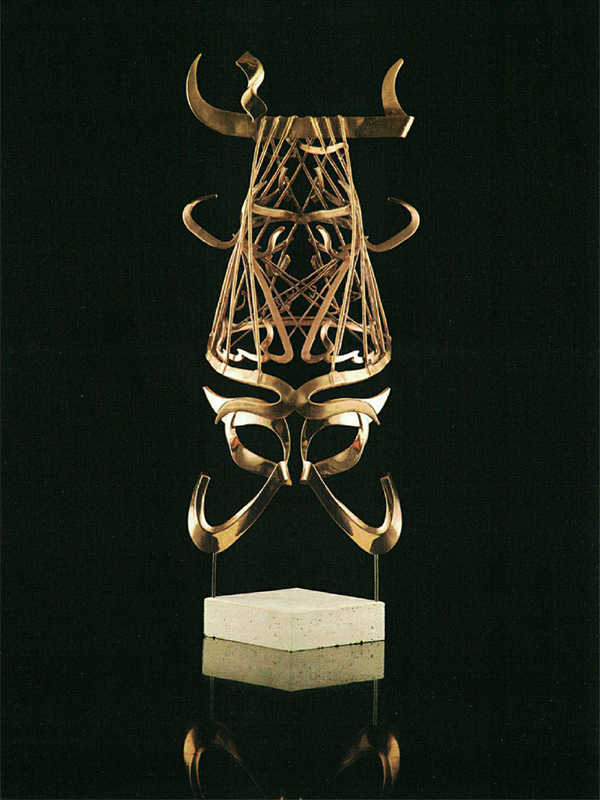 Inspired by the equivocal phrases in Persian poetry written with a mastery of disguise, Ali Kourehchian, Iranian sculpture and architect has chosen "The Mask" as his subject matter and through it has created a process to transform poetry into visual art. 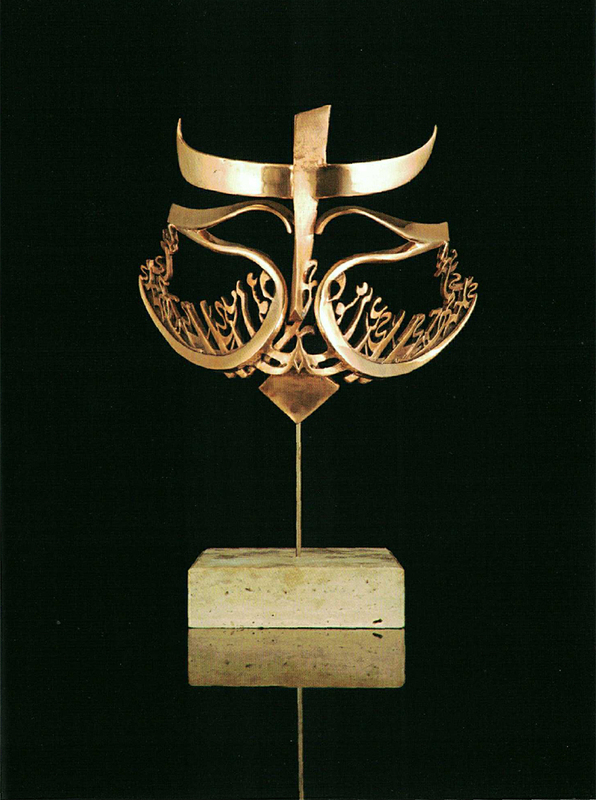 The visual forms of the Persian alphabet combined with geometric lines, punctuations, and the three dimensionality in bronze, not only take the viewer to the source of the inspiration but they also direct them to the corresponding meaning of the poems they represents visually. The result is a synergy between three art forms: Calligraphy, Poetry and Sculpture making this body of work very rich and quite novel. Having modified the two-dimensional writings into three-dimensional forms, Kourehchian has created a union be-tween sculptures and words which is more understandable to both Persian and non Persian speaking audiences.